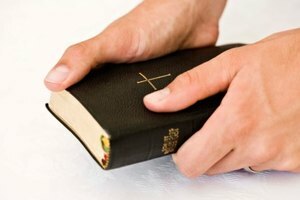 How to Study the Bible. The Bible has brought its readers comfort and joy for centuries. 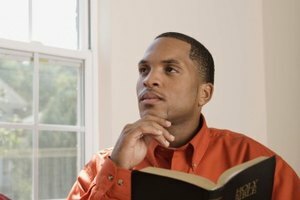 If spiritual interest, general curiosity or another reason has sparked your interest in reading the Bible, you may find that using study materials increases your understanding. Remember that the Bible is a book of books. Each of the 66 books of the Bible can be studied as a separate entity but, don't forget to reflect on how each book adds to the Bible itself. 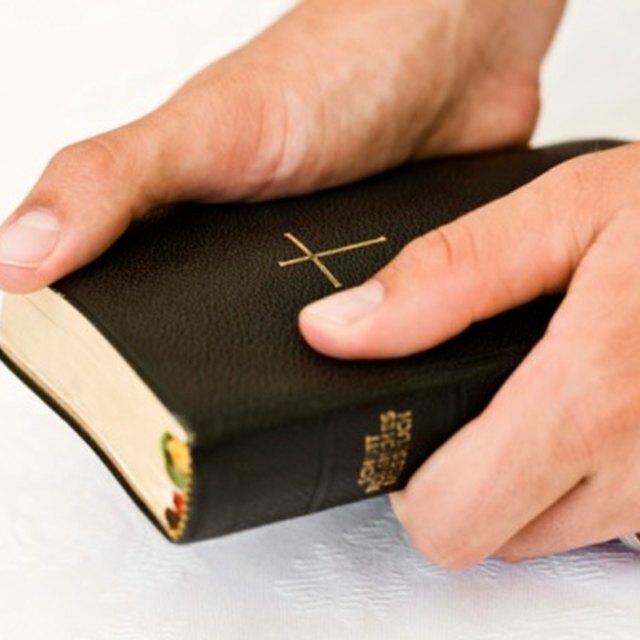 Read introductions for each book of the Bible. Study Bibles will provide introductions containing historical and author information. This material will help you learn about contemporary events that may have influenced the author as well as any bias that the author may have had while writing. Pay attention to the chapter headings. Many Bible translations will break a book up into headings to help you follow easily similar lines of thought. These headings may span chapters or just a few verses. By taking note of the heading you may see one of the main topics more clearly. Take time to read the reference verses that are provided in the margins in your study Bible. Some verses may not make much sense until you read the verses in a previous chapter or book of the Bible that the author is referencing. Use a concordance to find verses with shared concepts. Understanding how often a concept or word is used in the Bible or a particular book of the Bible will help you become familiar with its importance in the Bible. Refer to the historical maps in your study Bible. Using these colorful illustrations will help you visualize events described in the text. Don't start reading chronologically. Many people get bogged down with Genesis. Try starting with 1 John or some Psalms. Set aside a time to study the Bible daily. Reading a chapter or two a day is an easy commitment to make. Refer back to a book introduction if you find a chapter confusing. Or try reading the chapter in a different translation. Contributor. "How to Study the Bible." Synonym, https://classroom.synonym.com/how-to-study-the-bible-12077812.html. 29 September 2017.